People walk near a sign outside of Google headquarters on January 31, 2007, in Mountain View, California. A U.K man's tweet about his grandmother's oddly polite internet use has gone viral, and its even garnering the attention of Google. John told BBC News he was curious about the odd habit and asked her why she did that. "I asked my nan why she used 'please' and 'thank you' and it seemed she thinks that there is someone, a physical person, at Google's headquarters who looks after the searches," he told the news organization. "She thought that by being polite and using her manners, the search would be quicker." His original tweet quickly went viral, for many different reasons. Some thought his grandma was sweet, some thought her etiquette was a throwback to generations past and others just got a good chuckle out of it. 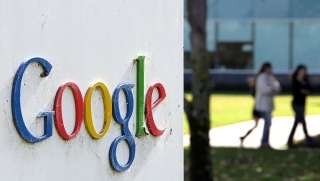 Eventually, the tweet made its way back to Google, whose company headquarters are in the Bay Area's Mountain View. Pope Francis had a close encounter Thursday with a 6-month-old tiger cub during an event at the Vatican. It happened at a special audience for the Catholic Church's Holy Year. 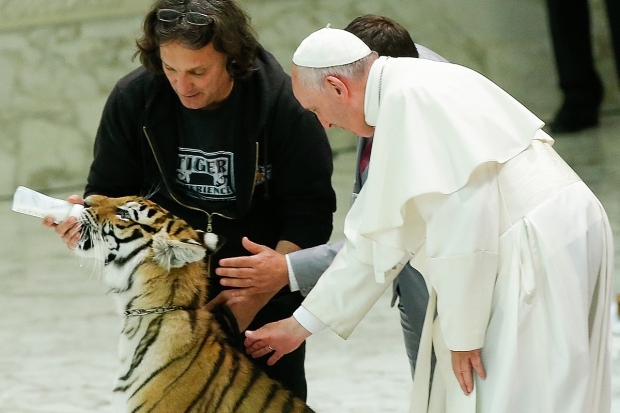 The Pope was all smiles as the handlers of the tiger brought it on stage and fed it from a milk bottle. The demonstration was part of a celebration involving circus and traveling show people. Someone encouraged Pope Francis to get up and get acquainted with the animal. At first, it jerked its head around, and the pope pulled his hand back. The tiger trainer said the cub had been scared by the white object that had come up next to him, but after he was reassured by the cub's handlers, Francis tried again. He stroked the tiger's back to the applause of the audience.